It’s almost summer. Forget that Calgary was plus 6 yesterday with biblical rainfall and the mountains got a sprucing up with a bunch of new snow. I am going to call it and say, summer starts now. 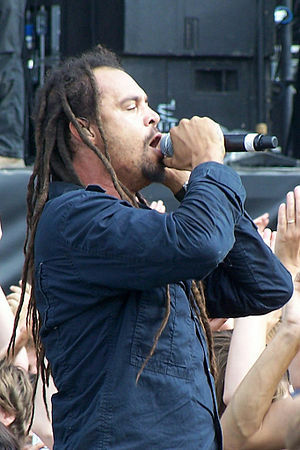 To bring it in with some music, I give you Michael Franti and Spearhead with “The Sound of Sunshine”. California-based, the band, fronted by Michael Franti, plays a great mix of, well, pretty much everything. I hear funk, jazz, hip-hop, reggae, some folk and lots of fun. Great tune, and wherever you are, remember Canadians love summer. It is short and we make the most of every minute. This entry was posted in Folk, Funk, Hip-Hop, Jazz, Music, Song Of The Day and tagged Michael Franti, michael franti and spearhead, Music, Sound of Sunshine, Summer, summer anthem. Bookmark the permalink. The one if this song with jovanitti was pretty good too.